Washington State, Kitsap Peninsula, 1990. A 911 emergency phone call was answered by the local sheriff’s office late at night. 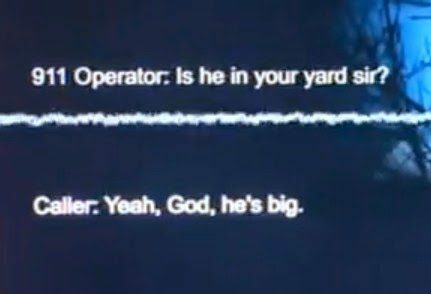 The caller, an older gentlemen, sounded alarmed and concerned for his safety when he spotted something tall and hairy in his backyard. READ 2014: Bigfoot’s Eyes Caught On Camera?